The secret, as it turns out, is patient engagement. 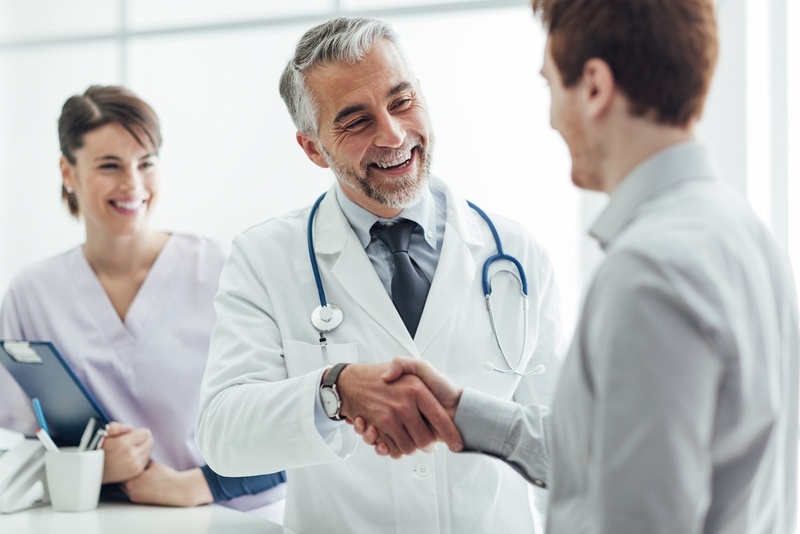 Making a human connection with patients through a healthcare marketing strategy is something that sets top healthcare companies apart. A CDW Healthcare survey found that less than a third of patients were happy with their healthcare providers’ use of technology. Nearly 90% wanted a more accessible patient portal. But of course, this doesn’t mean starting from scratch with a major technical overhaul. Tried-and-tested marketing techniques like patient surveys should help you identify any problems with your own portal and improve the patient experience. A great portal is particularly helpful in building a personal engagement with your patients - the patient portal allows you to deliver highly relevant content to individual patients based on specific criteria, and in some cases can even allow patients to interact directly with their healthcare provider. Never is this more the case in healthcare marketing, where building trust with consumers is especially critical. Personalization could consist of delivering relevant advice via email for specific patient risk groups, such as hypertension or diabetes. Patients struggling with chronic conditions are in urgent need of more resources to help manage their condition. West found that 70% of patients with a chronic condition want more resources to clarify their treatment. More than a third require a more individualized treatment plan and additional tips and techniques. Creating content that would offer this additional guidance, customized to each individual patient, and delivered alongside appointment or treatment reminders, would be a great way for healthcare marketers to build stronger engagement between patients and their brand - while simultaneously helping patients develop healthier habits and benefit from treatment. Klein and Partners found that an alarming 11% of healthcare provider websites are creating “new, negative feelings” about the brand. How can you avoid putting patients off? User persona research is key. Patients are looking for healthcare providers who understand their unique circumstances. Well-defined user personas will help you connect more directly with your target markets. Once you’ve defined your user personas, it’s time to put them to work. Start by using user journey mapping to plot out how your users will interact with your site and find any pain points. Personalizing your users’ journey around their needs gives you a website that converts patients from casual users to loyal, long-term fans. When Manny Rodriguez joined UCHealth as chief marketing officer, he brought a unique perspective with him - he had recently recovered from leukemia. His aim? To put the patient back at the center of healthcare marketing. Rodriguez’s technique was to build marketing initiatives around patient stories. UCHealth created new campaigns based on patient videos, where patients told their own stories. Employees were thrilled by the new direction, which fits much better with company values: [We] are in a business where you work long hours, you don't get paid very well, you don't sleep well. And [you] do it for the patient," comments Rodriguez. "So finally, here we are, we're not talking about anybody else but the patient." Whether you’re harnessing the power of social media to build an active and engaged patient community, like United Healthcare, or using emotive videos to showcase patient care, like the Dana-Farber Cancer Institute, the best healthcare marketing puts the patient center-stage. Personalizing your marketing can enable you to reach different patient groups. Beyond this, you can drive your different target markets into separate channels, so that patients, healthcare providers, or insurers, see the most relevant information. You can increase patient engagement and loyalty by providing more useful content - and even more importantly, help keep patients healthier. A lot of hard work goes into making your marketing strategy more personalized while keeping your brand consistent. We hope you found this article gives you a great place to start. If you’d like more hands-on support, we’d love to talk - schedule a 30-minute chat with Spot On to discuss the development and execution of your digital marketing strategy.